Lot 27 Big time cow potential here. 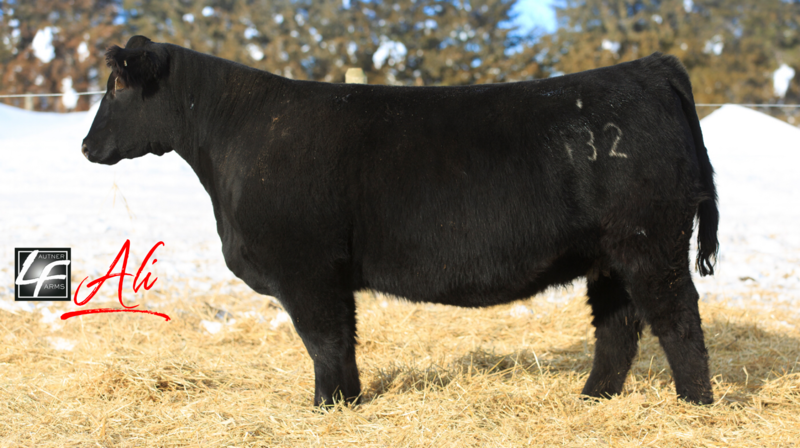 Whether you want to make show steers or heifers, these are the females that are popular. 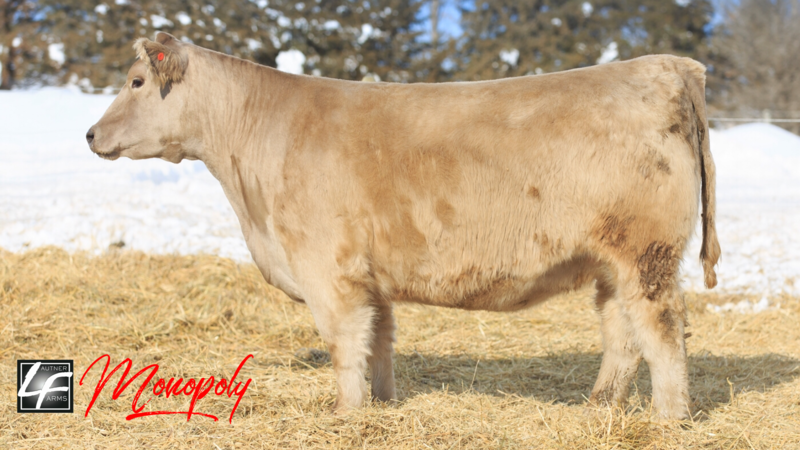 From the same dam as lot 29, her full brother sold in the fall pasture sale a few years back for $12,500. Her dam is a Smokes on the Water and is currently in the donor pasture. Good cows are often quantified as females that can make a producer money, pay for themselves, or simply nurture and care for their calves in some cases. But what makes a Great cow? Great cows make an impact, they improve upon traits that aren’t easily improved and they make people show up to your operation and ask “where are the calves out of “that” cow?”. 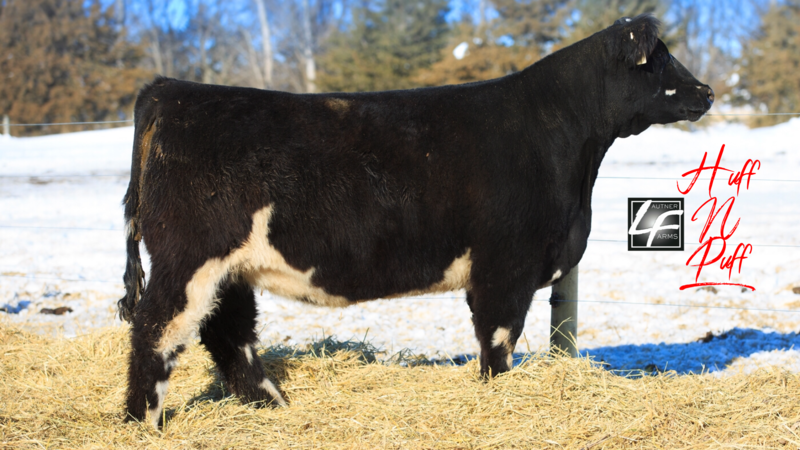 This bred heifer has all the pieces to be “that” cow. Lot 33 is a full sib to the great Mercedes Benz. A potent pedigree, a remarkable profile and a set of feet and legs that have all the right moves. Combine all of that and it makes for an exceptional bovine. Better not miss this one on January 29th. This Huff n Puff daughter has dimension and depth combined with power throughout and top it off with big bone and big hair. 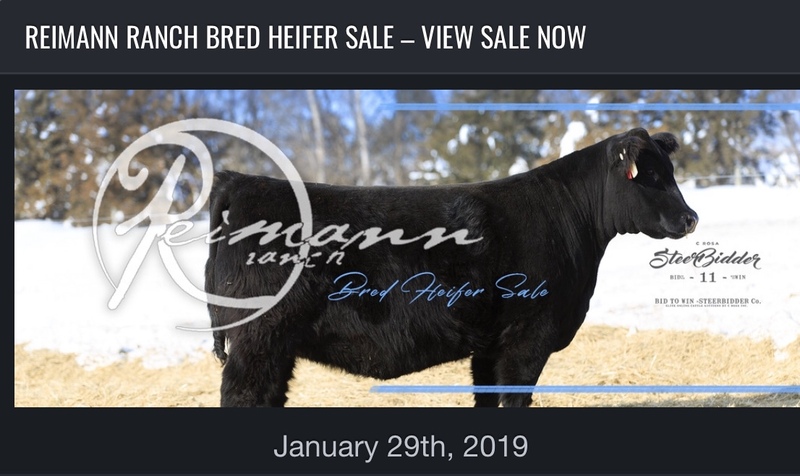 Her full brother sold for $9500 two years ago. Power in the blood on this one.